Say hi to our 42 kilo gentle giant, Bob. 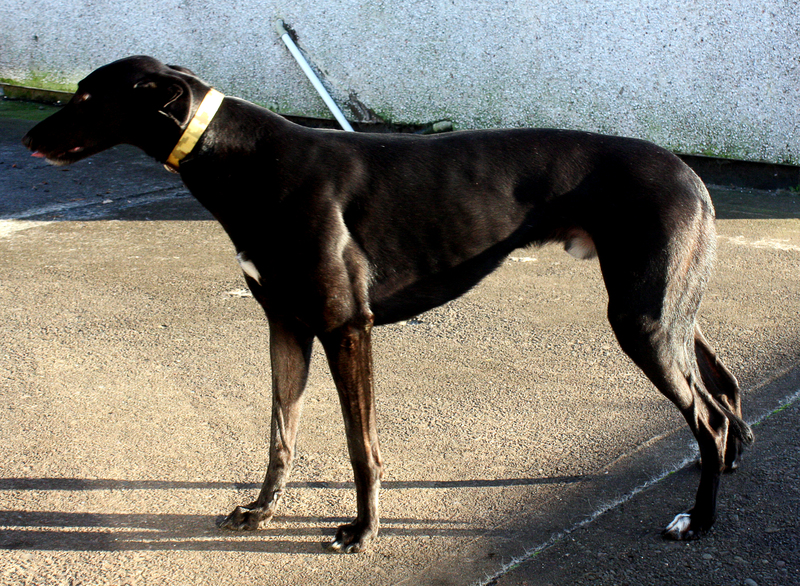 He is one of the biggest greyhounds we have ever seen and suspect he is Great Dane in a greyhound body! Despite this you will not meet and kinder or more gentle dog that adores affection and has a playful spirit. He is a little shy getting in and out of the car but this would soon change as he got used to his new family. He walks really well on the lead and appears to have no interest in smaller dogs. 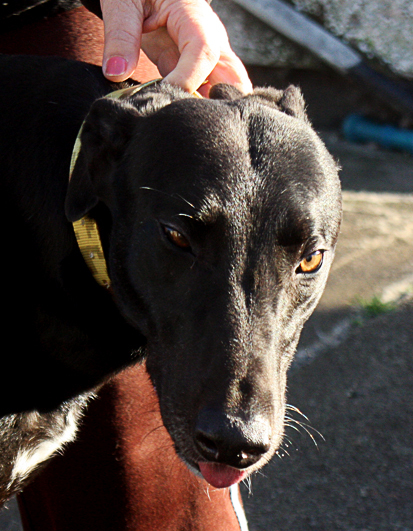 He gets on well with his kennel mates and will make someone a simply fantastic pet. For more information about Bob and to arrange an introduction, please fill in the enquiry form or telephone Colin on 01461 40066 or 07974 253424.